The Prinsenboat has a very comfortable and romantic living room from where you have a water level view on the most interesting historic canal of Amsterdam, the Prinsengracht. You are surrounded by 17th century architecture of the Dutch Golden Age. TV with cable and international stations. The sofa bed, 1.40 x 2.00m., can accommodate two people. 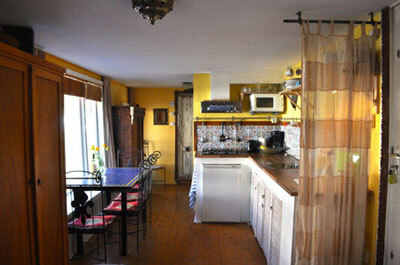 You will find a modern and fully equipped kitchen to prepare your own meals with fridge, stove, microwave, toaster, coffee and tea making facilities. On The Prinsenboat we call it the galley. If you do not feel like cooking, around the corner, in the Utrechtsestraat, there is a wide variation of international restaurants. The Prinsenboat has central heating throughout the complete boat. 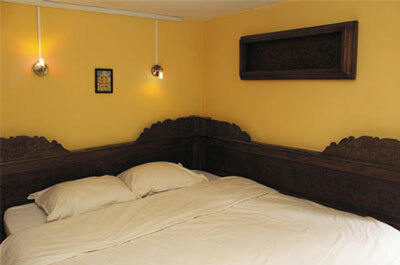 The bedroom is divided from the living room by large antique wood carving panel form Indonesia. 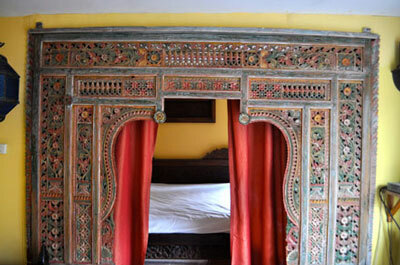 The Prinsenboat has antique teak wood king size bed with beautiful woodcarvings. It is said to be an opium bed from an opium den. Sweet dreams! 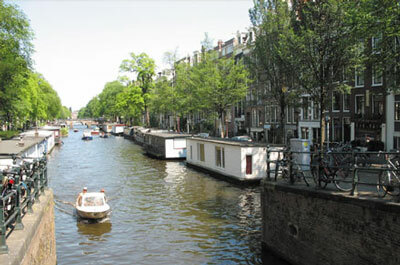 If you open the window in the bed room, you can feel the vibrations of the Prinsengracht canal. 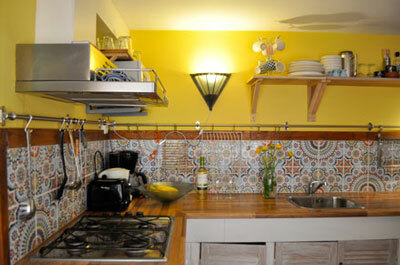 Located in Amsterdam historic city centre, The Prinsenboat can accommodate up to four people. With a living room, kitchen with dinning table, bathroom, and bedroom. You will feel right at home. 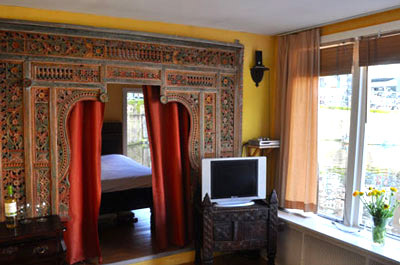 Your own private room in Amsterdam historic city centre. 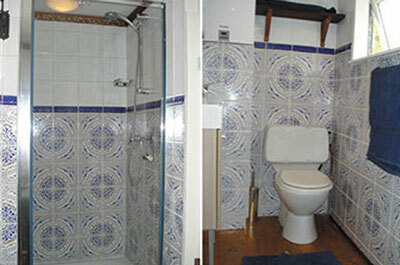 The bathroom, decorated with beautiful Moroccan tiles, includes toilet, sink, and oversized shower. No need to bring towels. We provide all the towels you need.